Your opponent cannot target Insect-Type monsters for attacks, except this one. 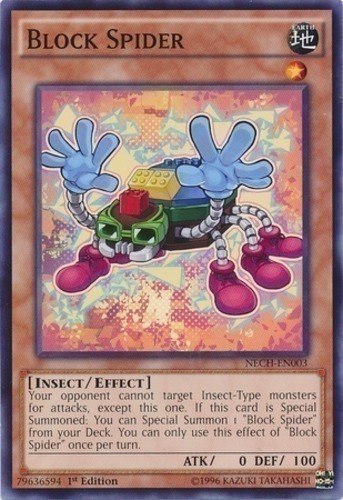 If this card is Special Summoned: You can Special Summon 1 "Block Spider" from your Deck. You can only use this effect of "Block Spider" once per turn.